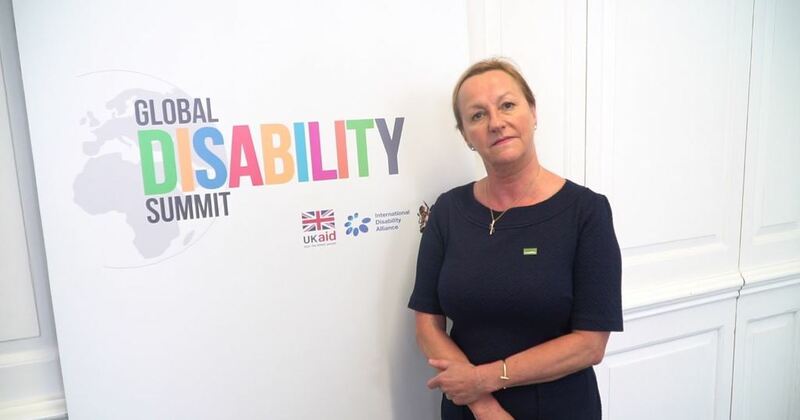 Livability staff member Fiona Stephenson was honoured this week by Prime Minister Theresa May, when Fiona received a prestigious ‘Point of Light’ award from the UK Government for her contribution to spinal injury care. In a personal letter to Fiona, The Rt Hon Mrs May highlighted her work as ‘inspiring professionals to integrate spinal cord injury nursing into training and transforming the lives of patients’. Fiona has worked around the world with patients who have sustained a spinal cord injury, including areas struck by natural disasters, such as Haiti and Nepal. Her work led her to co-found The International Network of Spinal Cord Injury Nurses. Fiona was one of six volunteers recognised for their work in different fields, to coincide with the recent Global Disability Summit, and was invited to share in a roundtable hosted by Lord Bates, Minister of State for International Development, to discuss how to engage volunteers positively in the UK and abroad. Fiona drew the Minister of State’s attention to Livability International’s work in Nepal, where she has seen volunteers involved with great effect, because of the thorough planning, cultural preparation and appropriate placing of individuals by Livability. This discussion was ahead of July’s Global Disability Summit, where Livability was also represented by the head of its International team, Stephen Muldoon. Read more about Livability’s Spinal Injury Centre.